Welcome to Botswana, a sparsely populated country in Africa’s south that’s known for its wildlife, powerful scenery, and epic sunsets. You’ll see it all and more when you pick up a motorhome in Maun for an unforgettable round trip, and it won’t be long before you begin planning your return visit. This isn’t your average campervan road trip however. You will need a 4WD vehicle, and any drivers must be comfortable with tackling sand driving and other off-road conditions. Plus, you’ll need to make sure you talk to your supplier about any plans to head off road, as they may have certain guidelines you need to follow, or additional insurance policies. 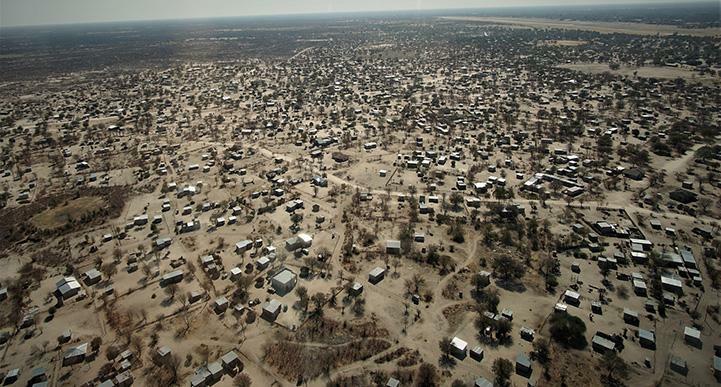 Also, thanks to the sparse nature of the country, you’ll need to thoroughly stock up on supplies, food and water before you leave Maun to ensure you never run short, and a satellite phone in case of emergencies won’t go astray, either. Once you’ve got those precautions out of the way, you’ll be able to get started on a trip that will introduce you to game reserves, lakes, waterfalls, plains, and everything in between. So, what are you waiting for? 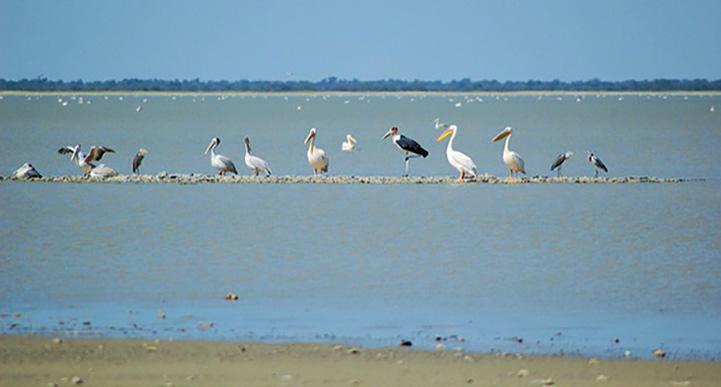 When you pick up your Maun motorhome rental, you can make the most of having a set of wheels by first spending a day or two exploring this tourism capital. Then, the real road trip begins. This leg will begin by heading southwest out to an endorheic lake that fills up and empties depending on the weather. From there, you’ll make your way to a lodge on the edge of the Okavango Delta where you can head out onto the water to explore this phenomenal corner of the world. You’ll need four or five days for this leg, most of which will be spent discovering the wild and beautiful delta lagoons and rivers. Maun may not be as large or as well known as the country’s capital Gaborone, but it is quickly becoming the tourism capital of Botswana. 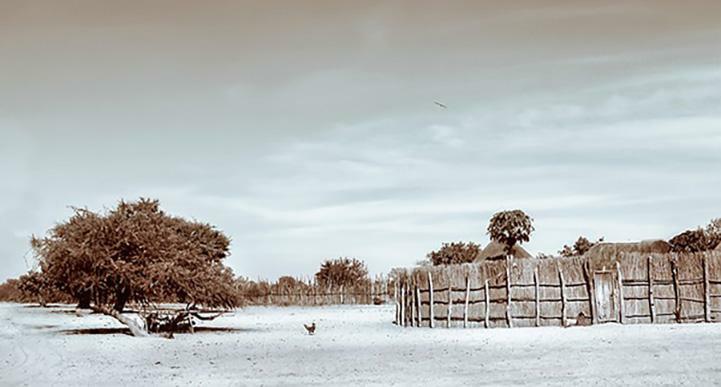 It’s a mix of the old and the new, with native huts and modern buildings packed within the same city space, and it is the undisputed gateway to the Okavango Delta. When you pick up your motorhome rental in Maun, you can easily spend a few days exploring this top spot before hitting the road. First, stop by the Nhabe Museum, which was originally built by the British military and used as a surveillance post to keep an eye on the Germans in Namibia. Today, it’s a site dedicated to the region’s past, with photographs, art, and basket weaving. Another place to visit is the Bushman Craft Shop, which is a good place to pick up a few souvenirs such as wood carvings and textiles before you leave town. When you’re ready to get moving, take the A3 southwest out of town for roughly 90 minutes to reach the first stop of your road trip. Also, stock up as much as possible with food and water, as shops and lodges are less common for the first couple of legs of this journey. Lake Ngami is a large, beautiful, and extremely shallow body of water that’s fed by the Okavango River, and sometimes it doesn’t hold any water at all. After major rainfalls, the lake fills, but drought years often see it drop to extremely low levels, or even dry out. Regardless of whether there’s a little water when you visit or a lot, the lake is classed as an ‘Important Bird Area’, as it’s home to globally threatened and rare species such as the black-winged pratincole, and the lesser kestrel. Flooding brings in even more birds, with huge numbers of congregatory waterbirds paying a visit. Note that there are no facilities at the lake, so you’ll need to bring your own food and water if you wish to stay a while. After the lake, take the A35 northwest for several hours to the Nguma Island Lodge. Many of the lodges on and around the Okavango Delta are found on islands, and require flights to reach them. The Nguma Island Lodge is accessible by road, making it an ideal spot for motorhome road trippers and the perfect place to see more of the delta. Plus, while there are tented sites available, you can stay in the campground on site. A stay at the lodge will open up a raft of wildlife viewing opportunities. You can take a 45-minute boat ride out onto the delta, where many visitors spot warthog, elephants, and a huge array of water birds. The rich natural landscape is a magnet for species such as fish eagle, darters, and goliath heron, so you’ll definitely need your camera every time you step out the door of your motorhome. As well as regular boat rides, you can take a mokoro ride, which invites you to step on board a dugout boat and enjoy a relaxing poled ride through the reeds and lagoons for a more traditional way of seeing the delta. When you head back to the A35, continue driving north, then turn west to Tsodilo. Leg two of your Botswana motorhome road trip will truly take you into the wilds of the country. You’ll start at the Tsodilo Hills, a world heritage site due to its abundance of rock art, before driving across the border into Namibia for stops at a game reserve, a series of waterfalls, and an almost-untouched slice of land known as the Caprivi Strip. You’ll need to be well stocked for this leg as there are very few facilities along the way, and you’ll likely need three or four days to make the journey. The Tsodilo Hills is one of the the highlights of Africa, let alone Botswana. 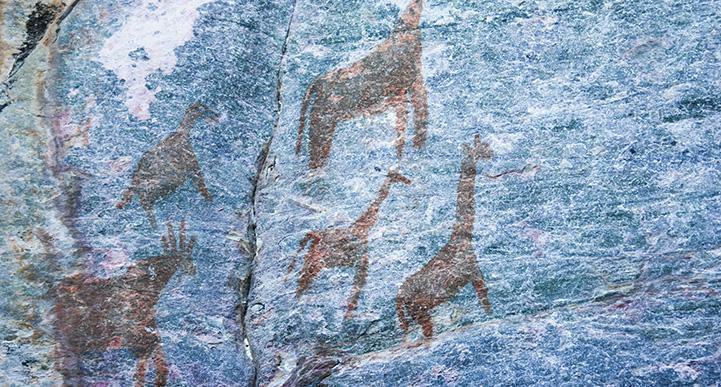 The area is graced with such a high concentration of rock art that it has been unofficially dubbed the ‘Louvre of the Desert’, with more than 4,500 paintings in just 10 square kilometres of the Kalahari Desert. Naturally, such a culturally important site was named a UNESCO World Heritage Site in 2001. The paintings offer a window into human life as far back as 100,000 years ago, with non-continuous art representing life in the Stone Age, and even as recently as the 19th century. Most of the art is centred around three main hills; Child Hill, Female Hill, and Male Hill. These are some of the highest points in the country, and they are best seen with a guide to point out some of the highlights in the rock art. You’ll find the Tsodilo Hills Community Campsite nearby so you can stay awhile and have more time to explore, and also note that the drive into the hills is 4WD only. From here, make your way back to the A35, then turn left to head northwest and head across the border for a short detour into Namibia. Get your first taste of an African game reserve at Mahango, a 244 square kilometre park that features some of the most diverse flora and fauna in the country. You can usually see game here throughout the year, but the best time is through the drier winter months (April to November), when the animals travel further in search of water. 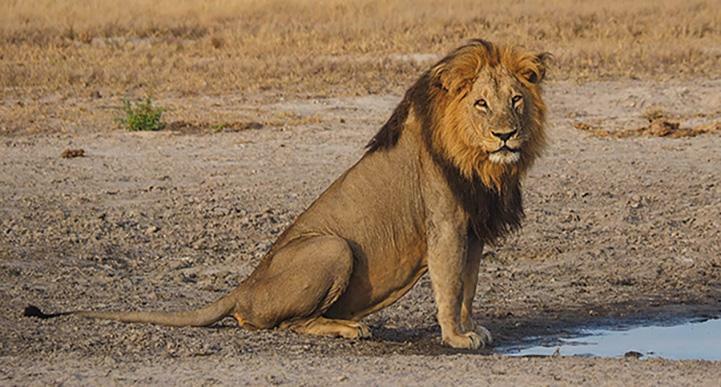 Most notably, the area is abundant in buffalo, elephant, and red lechwe (a species of antelope), but you may also spot crocodiles, impalas, kudu, hippos, and hundreds of bird species. Also, you’ll be sure to spot plenty of the iconic baobab trees that are such imposing figures on the African skyline. This game reserve is definitely on the more remote end of the scale, so it’s best to stick to the main track and don’t wander too far from your motorhome. There are no facilities on site, and the best way to see the reserve is to take a tour from a knowledgeable guide. If you can’t find one ahead of time, drive on to your next stop at the Popa Falls just 20 minutes away and ask at the Popa Falls Lodge. The Popa Falls are found just a little further up the road from the Mahango Game Park, and despite the name, this top attraction is actually a series of rapids rather than waterfalls. It’s where the Okavango River passes over a 4-metre high rock reef, making for some seriously impressive rapids. The reef is made of quartzite, and the attraction is particularly good during the dry season (roughly April to October), when the lower water levels make the reef even more prominent than usual. Of course, the Popa Falls are surrounded by lush African landscapes, and the fact that they are more than a kilometre wide offers a fantastic opportunity for photographers. If you’re looking to stay a while, the Popa Falls Lodge has 10 campsites where you can stay the night, and you can also use this facility to book yourself in for a fishing trip, nighttime guided game drive, or even an excursion into a buffalo park. This is also a good place to organise a tour of the Mahango Game Reserve. 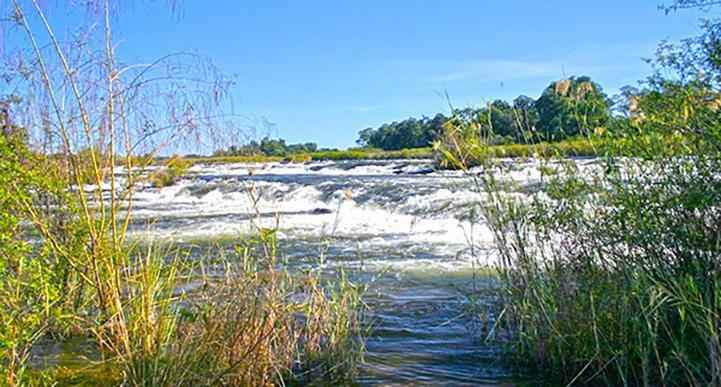 After the falls, you’ll make your way northeast via the B8 into a beautiful area known as the Caprivi Strip. The Caprivi Strip is the kind of place you notice on a map simply because it looks like it doesn’t belong. This thin slice of land is part of Namibia, but is sandwiched between the north of Botswana and the south of Angola, measuring just 30 kilometres or so across for most of the way. As the story goes, when land was being divvied up by the Germans in the 19th century, they decided that the Zambezi River may prove a useful trading route. Therefore, the strip of land that surrounded the river became part of Namibia. Unfortunately, this ‘shipping passage’ wasn’t as useful as once hoped, largely because it ends with one of the largest waterfalls on the planet (more on that shortly). Today, the Caprivi Strip remains a fairly amusing stretch of land and a testament to fact checking, but it also happens to be astonishingly beautiful. Very few people live in the area, but there are five protected spaces along the Strip, and all of them are flush with large game animals and water-dwellers such as buffalo, waterbuck, hippo, and sable. This is certainly a place to feel well and truly off the grid (mostly because you are), so be sure to be well stocked with food and water before you arrive. Leaving the strip, you’ll continue along the B8 and drive back south across the border into Botswana again, and into the Chobe National Park. If you’re not already in love with the wilderness of Africa, this is the leg of your Botswana road trip that will do it. It kicks off in the Chobe National Park, which is home to the largest population of elephants in the world, and will never cease to amaze you. You’ll cross the border and visit a couple of wildlife parks dedicated to conservation and education that will add a few new creatures to your list of animals that you’ve seen during your travels. Most of your time on this leg will be spent exploring the Chobe National Park, so it may pay to plan ahead and pick a multi-day tour option so you have a good idea of how much time you’ll have to spend on the rest of the road trip. The Chobe National Park is Africa at its best - the kind of place where you close your eyes and picture desert landscapes, wild elephants, spindly trees, and sunsets so vivid they look like they’ve been photoshopped. The park has been nicknamed ‘The Land of the Giants’, as it is where you’ll find the largest population of elephants anywhere in Africa with an estimated 120,000 of these gentle giants in total. It was the very first national park in Botswana, and covers over 10,000 square kilometres. While you’re there, you can stay at one of the campsites and use this as a base for exploring the park. Due to conservation laws, self-drive tours are prohibited, so you’ll need to book a 4x4 safari tour to get further into the park. There are a huge range of tours, from one-day trips to several days, so plan ahead to see which one will best suit your style. Many tours even start in the small town of Kasane outside of the park (such as Thebe River Safaris), so you can park your motorhome there and simply enjoy the ride. From the park, your next stop is in the town of Kasane, so head back up the main road into this small village. CARACAL is a small not-for-profit organisation that works to conserve local wildlife and improve local communities. It is mainly a research and education centre, and the team here rescue small wildlife species, so a visit will give you a chance to encounter a few more of Botswana’s critters, and help the conservation effort at the same time. While there, you’ll likely encounter a few snakes, plenty of birds, a mongoose or three, and whatever else needs a helping hand. The centre is open to the public from Monday to Saturday 9am-5pm, and you never really know what you might find there during your visit. It’s only a short drive from here to your next stop. After CARACAL, you will be crossing the border into Zambia. The border is over the Zambezi River, so you’ll need to take a ferry across to Kazungula. There are a couple of options for ferries, and usually won’t cost more than US$20 with your motorhome. You will likely need to buy a US$50 KAZA visa to enter the country at the border, and this (and any other fees and charges) can be arranged with a fixer at the border who will help you sort through the paperwork. Note that the KAZA visa is good for both Zambia and Zimbabwe, and it covers 65 different nationalities, including citizens from the US, Canada, Australia, and New Zealand. Typically, a fixer can help speed up the process a lot, but you are also welcome to do this step yourself. Expect the border crossing to take a couple of hours all up, and arrive early in the day to beat the queues. Once you’re through, follow the M10 west towards Livingstone. The Livingstone Reptile Park is the kind of attraction that may not be all that attractive to some - it’s home to some of Botswana’s most fearsome creatures, as well as many of its most interesting. 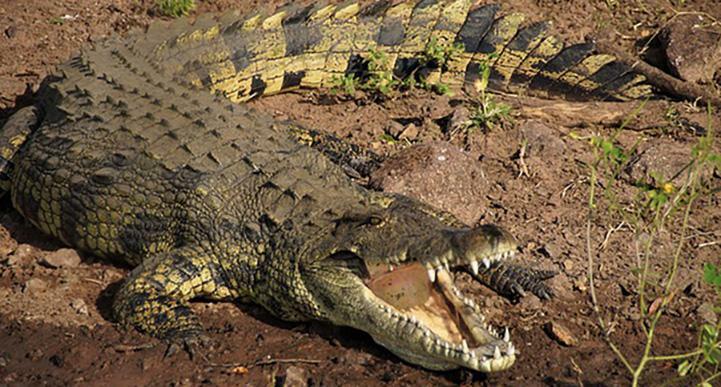 Managed by Gwembe Reptile Park & Safaris, this attraction often captures animals that pose a threat to humans and to themselves, which is how it has ended up with a collection of crocodiles from the Zambezi River. If these creatures had not been captured, they would have been destroyed in order to protect livestock and humans. Similarly, the team at the reptile park have also been asked to capture some deadly and intimidating snakes from around the region, which will give you the chance to see these animals up close - but with no threat to your own personal safety. It is extremely rare to see these species in the wild, but the parks natural facilities and conservation focus make it a win for all involved. From here, it’s only a short drive to one of the world’s most spectacular waterfalls. Just when you think Africa can’t get any more impressive, leg four of this road trip itinerary will blow those ideas out of the water - literally. Kick start this drive with a few hours at the Victoria Falls - a natural wonder of the world and an easy highlight of your trip. After that, move on to the Matetsi Game Reserve to spot a few more African creatures, then head south to see one of the country’s most important birding locations. This leg will likely only take a few days in total, unless you’d like to spend more time relaxing in Matetsi. The Victoria Falls are indisputably a top highlight on this road trip, and undoubtedly of any visit to Africa. They are the largest waterfalls in the world, and to the local Kololo tribe of the 1800s, they are ‘The Smoke that Thunders’. You needn’t look far to find them - the huge spray of water plumes high into the air and is visible from miles away. 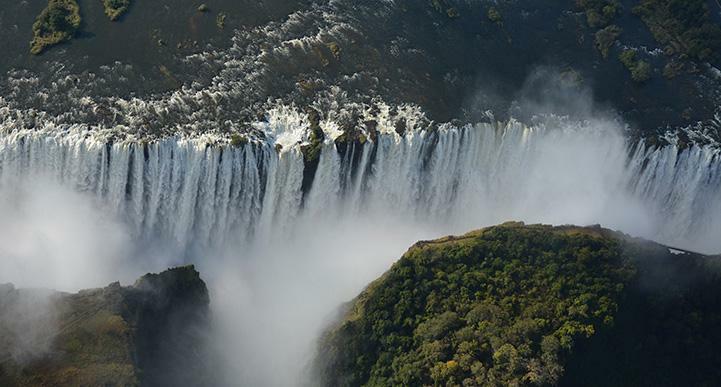 When the falls are at their most powerful (during the rainy season from November to March), they drop roughly five hundred million cubic metres of water over the edge every single minute. The water drops more than 100 metres, and the falls cover almost two kilometres across. So which side of the falls are best for viewing? Both. You’ll want time on both the Zambia side and the Zimbabwe side to properly appreciate the attraction. Then, drive across the Knife-edge Bridge, which offers some of the best views of the main falls. You should also take the path that runs alongside the edge of the forest, which offers a refreshing water spray for those daring enough to get close. You can also try out the viewing points from the Devil's Pool, Lookout Tree, and Falls Bridge for a few unforgettable memories (and photographs). Rest assured, you won’t need all of those viewing points to appreciate why the Victoria Falls are one of the Seven Natural Wonders of the World. Of course, for the truly daring, there are a few more ways to get up close and personal with these thundering cascades. You can try a bungee jump from the Victoria Falls bridge (which is one of the highest in the world), go white water rafting, take a leap of faith on a gorge swing, go abseiling, or take a zipline across the Batoka Gorge just a little downstream from the main falls. And if you’re after a real treat, take a helicopter tour above the falls for a unique viewpoint and an unreal experience that you’ll remember forever. When you’re finally ready to pull yourself away, take the A8 south then turn right towards the Matetsi Private Game Reserve. 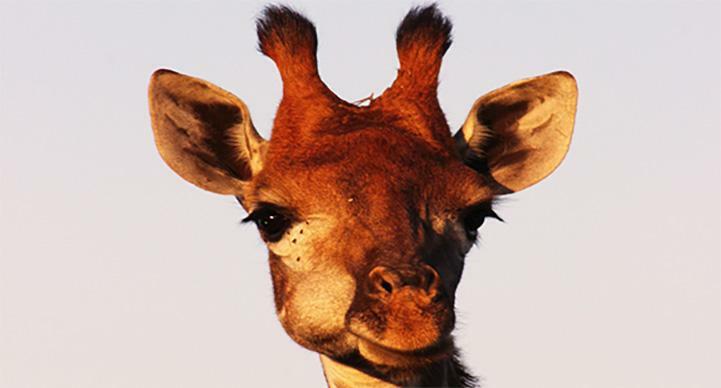 The Matetsi Private Game Reserve offers another wonderful opportunity to view Botswana’s natural scenery and wildlife. This reserve allows visitors to see wildlife at any time of year, and it features both water- and land-based viewing. Thanks to the diverse terrain and lush landscapes, this location is rich in various species, including giraffe, buffalo, elephant, kudu, zebra, impala, sable, and waterbuck. You may also even spot lion, hyena, leopard, and wild dog. To see them, the Matetsi River Lodge organises walking safaris, game drives, bird-watching trips, river cruises, night-time drives, and more. If there are any animals you still haven’t seen - or some you’d simply like to see again - this is your opportunity. This lodge has recently invested heavily in digging new water holes to attract animals, and in measures to keep poachers out in order to keep those animals safe, which is how they manage to offer visitors such high chances of seeing these rare and wild beasts. After the reserve, continue along the main road then turn south via the A33 to make your way to Nata. Whether or not you already harbour an admiration or adoration of birds, the Nata Bird Sanctuary will add another element to your Botswana RV road trip. The sanctuary is found where the Nata River meets the Sua Pan, making for the perfect habitat for dozens upon dozens of bird species. It’s a community-managed project that covers 230 square kilometres of wetlands, and is today one of the country’s premier birding locations. Some reports suggest there are as many as 165 bird species to be found throughout the year, one of those being the flamingo. At certain times of year, approximately 100,000 flamingoes congregate at the sanctuary at once, making for the kind of sight you truly have to see for yourself to appreciate. You might also see plovers, pelicans, geese, spoon bills, kingfisher eagles, and more. As well as these winged species, there are plenty more animals roaming the area, from monkeys and foxes to squirrels and antelope. Finally, drive back to the A3 and head directly west to the Makgadikgadi Pans National Park to begin the final leg of your road trip. One final leg of your road trip is all it takes to solidify the immense beauty of Botswana. The drive begins at the Makgadikgadi salt pans, which are one of the largest in the world and may be either void or flush with life depending on the time of year. You’ll move on to the scenic and famous Baines Baobabs, then take one final chance to visit the Okavango Delta before heading back to Maun to finish up the trip. You’ll only need a few days to complete this leg, but again, you may wish to spend several more days at Moremi where you can explore the delta in depth. The Makgadikgadi Pans are a 10,000 square kilometre section of the Kalahari Desert made completely of salt. The pan is what remains of Lake Makgadikgadi, and is today one of the largest salt flats in the world. Technically speaking, this salt flat isn’t one large pan but several, all connected by stretches of desert in between. Some of the pans are fairly small, while the largest is almost 5,000 square kilometres - half of the entire pans. Generally, you won’t see much in the way of life on the salt pans aside from a layer of algae that grows throughout the year. 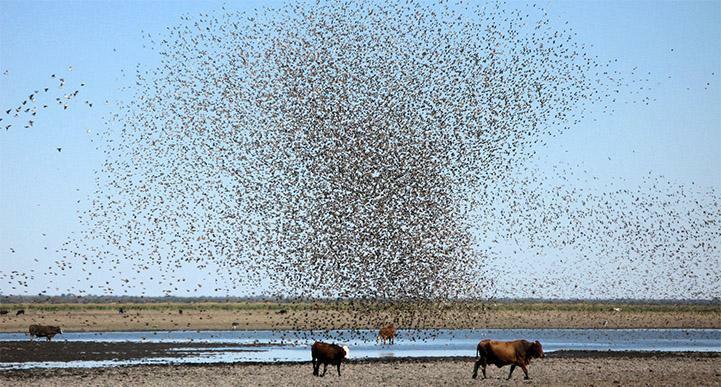 However, once the rains arrive, so do the migratory animals. Both zebra and wildebeest visit the pans, as well as creatures that prey on them. 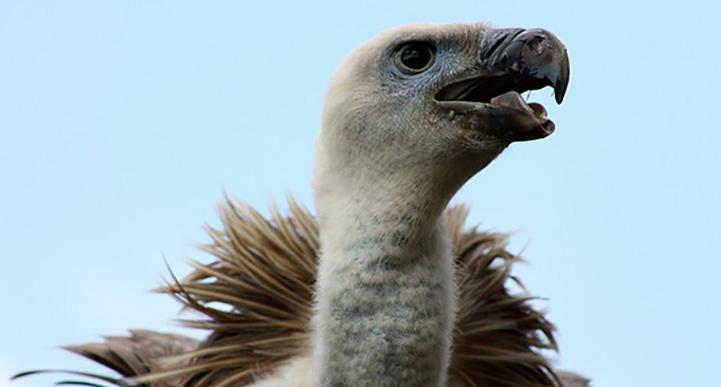 During your visit, you can go on wilderness hikes, take guided safari tours, try a quad bike tour, and go birdwatching. 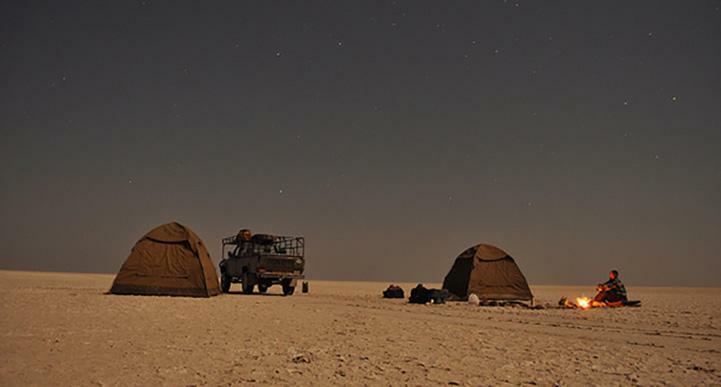 There are also multiple camps within the Makgadikgadi National Park if you wish to stay a night or two. Next, head back to the A3, and instead of swinging left back towards Maun, turn right, then left to head north into the Nxai Pan National Park. The Nxai Pan is actually part of the Makgadikgadi Pans, but this national park has something its southern neighbour doesn’t - Baines Baobabs. By now you will have seen a few of these enormous trees, but this patch of seven baobabs is not just especially striking, but also especially famous. 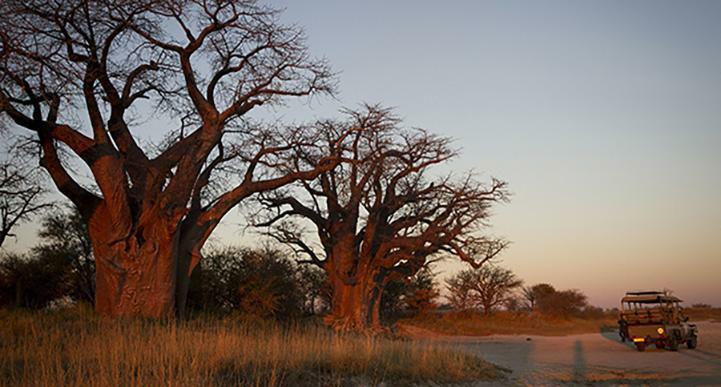 They are so named after Thomas Baines, the man credited with first finding this patch of baobabs. He painted this scene in 1862 during an expedition through the pans en route to the Victoria Falls. Since then, Baines Baobabs have only become more popular, as travellers make their way to the Nxai Pan to visit - and paint - the trees. And if Baines’ work is anything to go by, these trees have remained unchanged for more than 150 years. Finally, make your way back to Maun via the A3. But, don’t stop there. Take one final detour north into the Moremi Game Reserve for another look at the best the Okavango Delta has to offer. After a motorhome road trip filled with incredible wildlife experiences, it’s only fitting that the Moremi Game Reserve creates the perfect final stop. This area was the first wildlife sanctuary in Africa to be declared as a game reserve by a local tribe when it was announced by the BaTawana peoples in 1963. It has since grown in size to 5,000 square kilometres, and is now managed by the Department of Wildlife and National Parks. One of the outstanding features of the reserve is that it covers such a diverse swathe of landscapes, from lagoons and acacia forests to floodplains and woodlands. However, most of the park is comprised of the Okavango Delta. 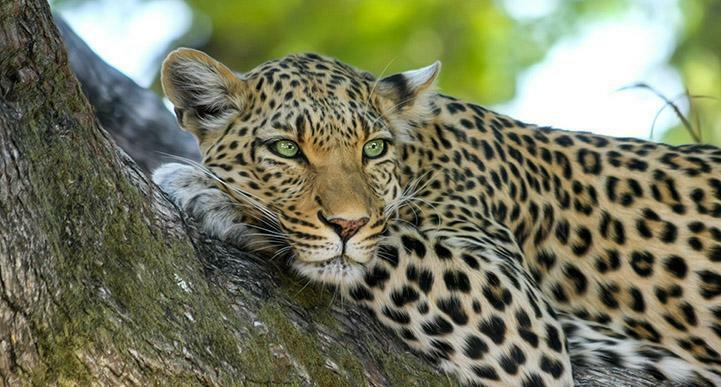 Your visit offers one final opportunity to view Botswana’s wildlife, such as leopards, giraffes, buffalos, and lions. You can stay a while at Camp Moremi, or simply stop by for a quick tour or adventure. When you’re finally ready (or simply when it’s time to hand your motorhome back over), make your way back down the main road to Maun. 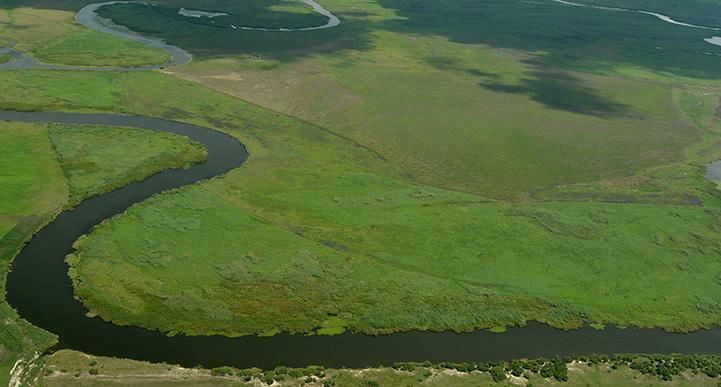 And now that you have effectively circumnavigated the entire Okavango Delta throughout this road trip, it might be a good time to treat yourself to a scenic flight over the delta to enjoy one final look at this stunning wilderness. All good things must come to an end, and this RV round trip from Maun is no different. You’ll have covered a couple of thousand kilometres, your camera memory card will be bursting at its digital seams, and you’ll hardly believe all the sights and experiences you’ve had along the way. From the Victoria Falls to the Chobe National Park and the Okavango Delta, this route will introduce you to some of Africa’s most impressive sights, but feel free to change your drive to better suit your travelling style. When you will inevitably start feeling a little down as it all comes to an end, remember that those end-of-trip blues can always be cured by starting to plan your next motorhome holiday!